Here is the direct link to the latest Quilting Challenge. Please let me know your thoughts and contact me if you would like more information. I discovered that I enjoy doing journal quilts. I never did traditional quilts per se. My quilts have to have some humor to them or tell a story. I started joining small challenges just so I could do that. The formats are usually small and there are very few restrictions. You are given a challenge fabric and a time limit. Both those work well for me. At Sew Materialistic we are also having a challenge, if you would like to know more about it, please email me. I went to California for a wedding. It was beautiful and I have started making a quilt with the monogram of the invitation in the center. I’ll start posting pictures as I work. I haven’t decided how big it will be but I’m sure it will let me know. 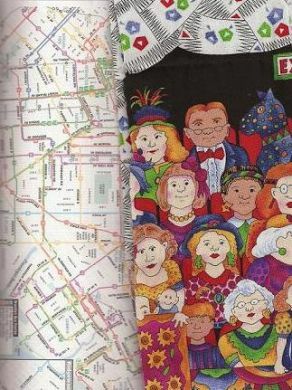 If you have an interesting quilting site or blog please feel free to contact me so I can share it with the rest of us. And no, I’m not a Marxist. 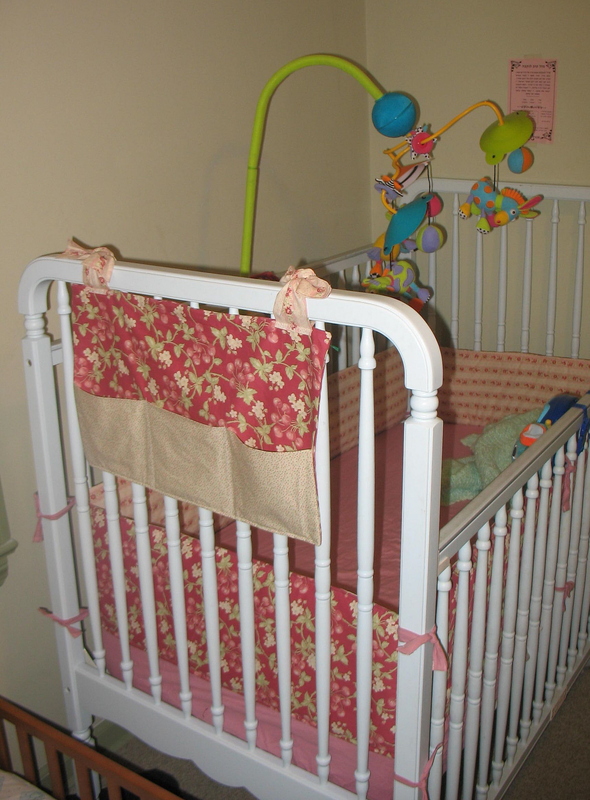 My daughter reminded me that the fabric she used for the crib set is from my store. As you can probably guess, my children like “shopping” in my store. A challenge quilt that is 24″x24″. We had to use a robot fabric. 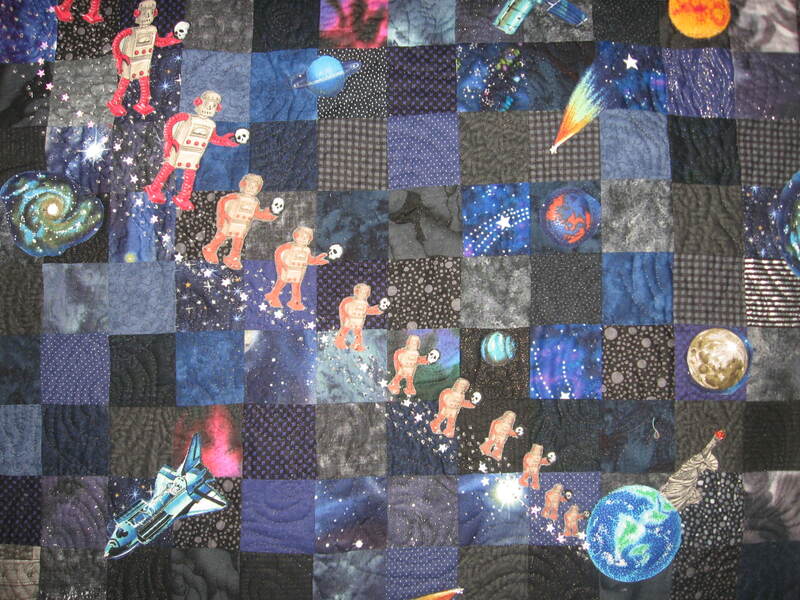 I used the robots in descending size order (that I altered and photo transfered by myself) because I wanted the look of them coming to earth, that’s why the quilt is called “Beware of Geeks Bearing Gifts”. 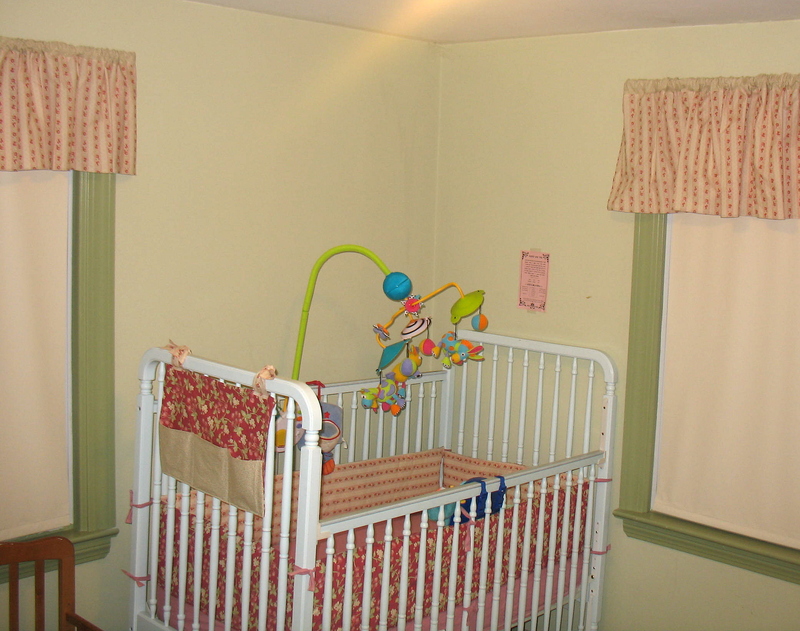 A question often asked at Sew Materialistic is: “Do you only sell craft fabrics?” Obviously, you can make whatever you want with cotton fabrics. 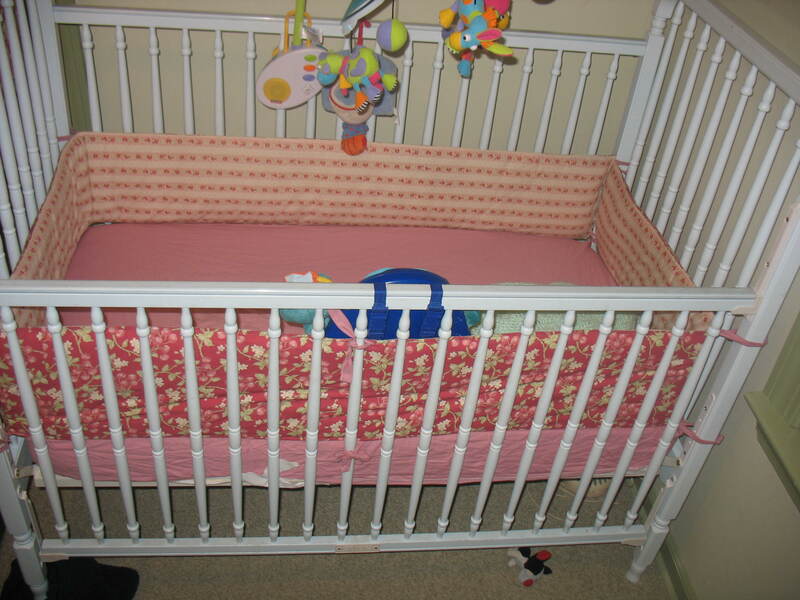 My daughter made this crib set as a gift because she doesnt like quilting but likes personalized gifts.